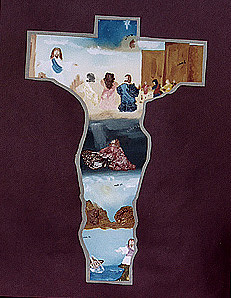 Jesus' Life is a painting by Tina Antoniades which was uploaded on October 5th, 2010. Key points in the life of Jesus. Each section has a scripture number. Beautiful work Tia! Love how you have the scenes painted within a cross.